Bruxism is defined as the dynamic grinding of teeth. Clenching is the static contact of teeth together as power from the closing muscles of the jaw is applied. Both actions are defined as parafunctional. This means that this is a dysfunctional habit that has the ability to cause harm to the associated portions of the masticatory (chewing apparatus) system. The components of this system are the teeth and their supporting structures (gums and bone associated with the teeth), the muscles that move the jaw and support the movement of the jaw and the jaw joints (including the discs, ligaments and associated tendons). Damage from bruxing and clenching is due to the overuse of this system, which is only intended to function for 45 minutes per day (the time that it takes to eat 3 meals). When an individual bruxes and/or clenches for any time over the 45 minute period, the system is stressed. If the combined time of parafunction is 5 hours a day, whether it is daytime, conscious parafunction or unconscious, night time while sleeping, the system is being over-stressed by 500-700%. Any system abused like this will breakdown. Signs and symptoms of breakdown are the same as those found with occlusal dysfunction. These include, but are not limited to, sensitive teeth, worn teeth, broken teeth, chronic headaches, poor gum health and jaw pain and clicking. 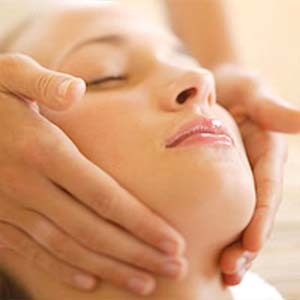 The most recent research lists the cause of bruxing and clenching as an attempt by the body to deal with stress. Japanese researchers have discovered that when a person clenches or bruxes they create natural stress fighting chemicals in the brain. When isolated and identified, these natural chemicals reduce acid overproduction in the stomach (preventing ulcers), reduce high blood pressure and aid in nutrient absorption from the small intestine. In other words bruxing and clenching can help preserve the more critical systems in the body at the expense of the structures of the masticatory system. If, after your examination, it is determined that you show signs of being a bruxer or clencher, it may be necessary to fabricate a custom “mouthguard” (nightguard) to be worn at night during unconscious parafunction. This may preserve the health of the masticatory system as well as the dental work present in your mouth. Such a device may be worn indefinitely to help preserve the health of the masticatory system. Daytime parafunction can be controlled by the individual with the help of behavioral modification techniques taught to the patient by the staff at Groton Dental Wellness.